SAP is a global leader that makes enterprise software to manage business operations and customer relations. The company has over 293,500 customers in 190 countries and provides ERP solutions, Cloud solutions and application suites for business process and enterprise management. Acuma collaborated with SAP to help global enterprises achieve business transformation and delivering world class solutions. We are one of the first organizations to have BusinessObjects partnership with SAP and are one of the leading UK SAP BusinessObjects Delivery Partners. 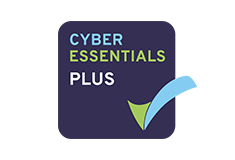 We are also the BusinessObjects accredited Education service provider for the North of England and the Midlands and our SAP Partner Centre of Excellence (PCOE) accredited team supports 100+ clients across the world. Our partnership gives us access to SAP’s exclusive partner portals for sales and marketing resources, events, product or solution information, support, demonstrations, references, education and services. Our solutions empower business processes, generate business analytics and deliver mobility expertise.